When Ramnath Goenka of the Indian Express advertised for a secretary, Leela Menon applied and was selected for the job. I write this with a heavy heart. 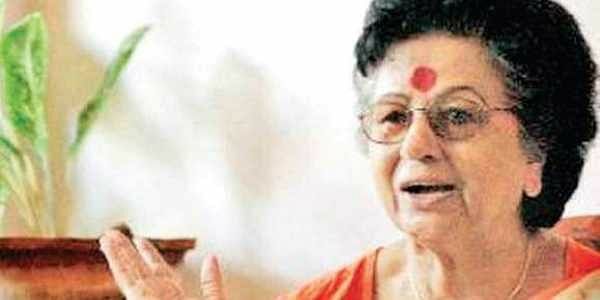 Leela Menon is no more. A friend to the last. Who loved my ‘kurukku kaalan’ and to whom I had promised some and tall lucky bamboo stalks which I might not be able to give her. Nilaykkatha Symphony. This is the title of Leela Menon’s biography. An apt title for the feisty woman who loved life to the hilt and inspired anyone who met her even once. Such was the ebullience she infused into all and her never-say-die attitude saw her gliding through life, pushing aside any obstacle, be it a physical malady, an emotional setback or plain bad luck. That readiness to help anyone, not only her friends, perhaps set her apart from the rest. If someone were to come to her house and ask her for some help, she would readily oblige, ring up the person concerned immediately and put in a word. ‘’Poyaal oru vaakku. Kittiyalo?…oraana,” she would say and laugh. As written in her biography, the rural oriented girl from Vengola, Perumbavoor, reached Hyderabad to study, and saw the outside world for the first time. “Can you believe, I wore slippers for the first time there,’’ she often said, unabashedly. Always, footwear mattered least in her dressing style. She would wear a costly sari with broad borders, accessories to match it, make up and hairdo, but simply neglect her footwear. Yoga, learnt from Chidambaram master in her youth, ensured she stayed healthy and shapely. I first saw her in the early eighties, walking into the Indian Express office in Fort Kochi, a mop of lovely shoulder length black hair in sharp contrast to her very fair big face, wearing an off-shoulder blouse. Those working on the desk literally sat up. So striking was her presence. She had been transferred from Delhi to Kochi because her mother was ill and she sought it. Leela Menon aka Manjari was a late entrant to journalism. While still a teenager, she got a job in the postal department. No gossip for her and not much other hobbies except reading. Thus she mastered the English language. Leela was the only woman who mastered the Morse Code for sending telegrams those days. That got her a place in the newspapers. 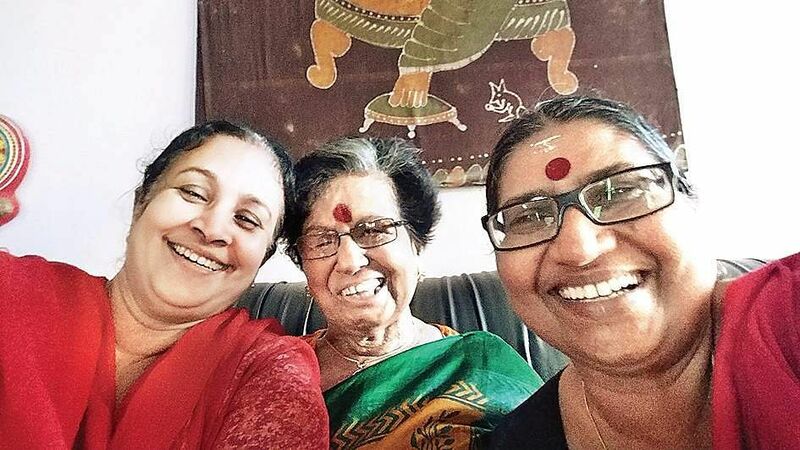 Prema Viswanathan had written a story on her in Indian Express and that inspired her to do a journalism course from Bharatiya Vidya Bhavan in the late Seventies. She got the gold medal that year. When Ramnath Goenka of the Indian Express advertised for a secretary, Leela Menon applied and was selected for the job. During those days, she saw many politicians meeting Goenka in the penthouse of Express Buildings and was privy to confidential matters on the political and business fronts too. Later, she joined Express as a reporter in Delhi where a young Radhika Roy, before her marriage to Prannoy Roy, was her roommate. “I still remember how we bought a mixie, a prized possession those days,” she reminisced often. When S K Anantaraman was the Resident Editor, he asked her to take charge as a reporter covering both Idukki and Kottayam districts. 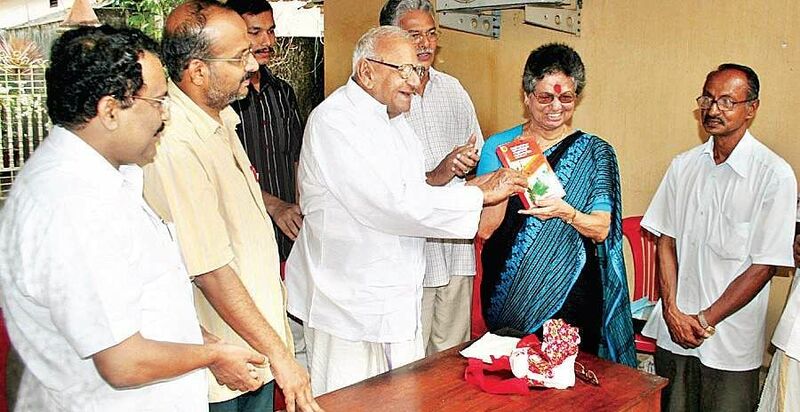 I think she was happiest during this stint, getting so many scoops and was the Rani of the Kottayam Press Club. Cancer struck her hard but she fought cancer back hard, defeated it and came to Kochi again, reporting for Express. Meanwhile, Leela’s husband, Major Bhaskara Menon, who had wooed and married her against his family’s wishes, passed away. For months, she was inconsolable. They had no children. Life slowly limped back to normal. A heart bypass surgery nearly broke her will but she came bouncing right back. It was after she resigned from Express and started writing in Malayalam that she gained popularity. 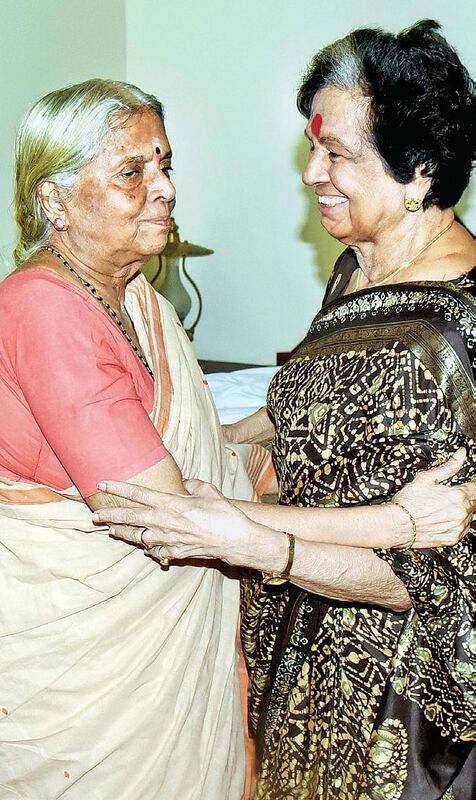 After joining Janmabhoomi as editor, Leela Menon so loved her job that age or ailment could not stop her enthusiasm. Even when she was in and out of hospitals, the edit and her column would be ready at the appointed time. Her columns on women oriented subjects attracted a wide readership and always there were visitors who sought advice and help. She loved interacting with people more than anything else. Bad health was never a handicap. Leela soon took up speaking assignments and she had her own style. It was no book language. She would have her points of view and express them in lay language, sometimes lapsing into English, sometimes, using slang and the audience loved it. Leela Menon was not the first woman journalist in the English media in Kerala, as many believed. There were many journalists before her but as they mainly worked on the desk, the outside world did not know much about them. Amni Sivaram, wife of Sivram, the celebrated editor of Indian Express, was in fact the first one. But Leela Menon was indeed the first woman to take charge of a bureau, in this case, in Kottayam, clubbed with Idukki. She revelled in that job. Women-centric stories were her forte. Leela always had a huge circle of friends. It was always a motley crowd. Some, she knew, befriended her just for recommendations in high places and other fringe benefits, but she was never rude to them. The huge circle trickled to a smaller one when she left English language journalism, for obvious reasons. But her popularity grew after that, writing in Malayalam, and strangers would often ring up with requests, blessings or problems. Many would come up to her Kalika apartment at Kadavanthra just to see her and spend some time with her. Counselling cancer patients was something that Leela loved, banking on her personal experiences. Sincere friends who experienced her largeheartedness stood by her through thick and thin, accepting her, warts and all. I love being bracketed in that niche. The one big lesson Leela Menon taught me was never to put off doing anything. She did it by example, not just lip service. The other is there is nothing you cannot do if you try hard enough. To apologise for something you realised was wrong is not bad, she would always say. At work, her speed is something you have to see to believe, also her concentration. Spontaneity and an abundance of love: That’s what she gave the world, in the final summing up of life. Leela Menon is indeed a Nilakkatha Symphony. Good Column . Really motivating starting her life in Postal Department, then toTelegram, Journalism. Of course the mental strengh to overcome health issues.